The DRL serves the global Direct Readout community as a Portal for JPSS-1 Direct Readout mission information, technologies and algorithms, thus enabling the community to process JPSS-1 Earth monitoring data for real-time applications. Beginning with the spacecraft integration and test phase, DRL staff works closely with the Mission team to verify all of the technologies released by the DRL. For the purposes of technology evaluation and user awareness, the DRL receives the JPSS-1 High Rate Data (HRD) transmission using a representative JPSS-1 Direct Readout system and generates products for each pass observed. The products are then published to the Recent Data Products gallery on the DRL Web Portal. The Real-time Software Telemetry Processing System provides mission compatible pre-processing tools. The algorithms used to generate these products are provided by the mission and ported by the DRL and other mission development teams. The DRL implements these algorithms in support of the JPSS-1 instrument suite for use in a Direct Readout environment. These JPSS-1 algorithms, in Science Processing Algorithm (SPA) form, are available for free download via the DRL Web Portal. The IPOPP data processing framework is available for free download via the DRL Web Portal. Data for pre-launch testing and validation is available here. Software and Algorithms to process JPSS-1 data will be available here. 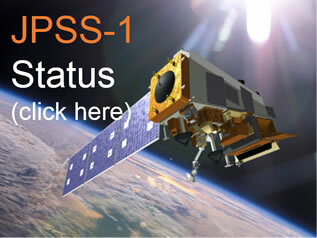 JPSS-1 data products generated with IPOPP technologies will be displayed here. Quicklook Images from the VIIRS Instrument Instrument created with Simulcast will be displayed here. Latest JPSS-1 Two-Line Element (TLE) File will be available here. Sample tested raw High Rate Data (HRD), test reports, and statistical analysis were provided to the DRL by the NASA NPP System Integration and Test (SI&T) Team as part of the NPP Compatibility Test (NCT) 3, Part I. The DRL applied this material against its own software development requirements to ensure that NISGS technologies will enable the HRD community to create NPP data products. JPSS Common Data Format Control Book - External Volume II – RDR Formats. JPSS Common Data Format Control Book - External Volume V – Metadata. Information to identify, distinguish and extract all of the X-band unique source packets from the satellite's mission data streams is contained in the National Polar-Orbiting Operational Environmental Satellite System (NPOESS) Preparatory Project (NPP) Mission Data Format Control Book (MDFCB). It is assumed that the sample data conform to structural specifications contained in the JPSS Common Data Format Control Book – External Volume VII – Part I – JPSS Downlink Data Formats. Click here for a sample raw data file and expected packet counts for testing with your own processing configuration. 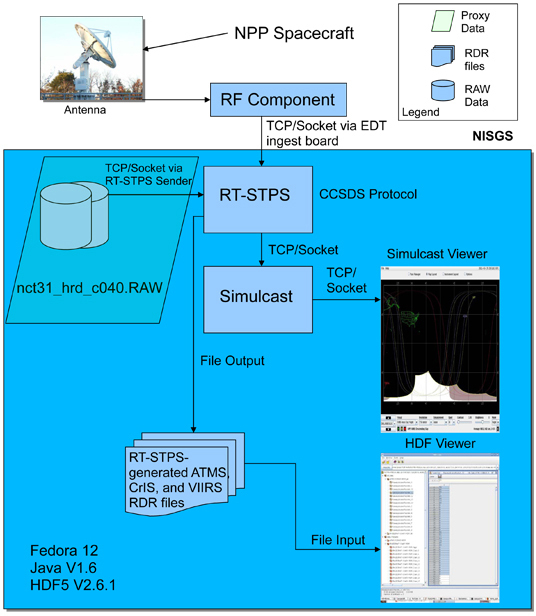 JPSS Common Data Format Control Book - External Volume III – SDR/TDR Formats. JPSS Common Data Format Control Book – External Volume VII – Part I – JPSS Downlink Data Formats. JPSS Field Terminal Support Segment (FTS) to Services Interface Description Document. 474-00380-B0200. February 2, 2016. JPSS-1 Spacecraft High Rate Data (HRD) to Direct Broadcast Stations (DBS) Radio Frequency (RF) Interface Control Document (ICD). 470-REF-00184. February 9, 2015. Click here for the complete listing of Polar Orbiting Missions science documents.